electronic duo based in chicago, mixing elements of industrial, dark wave, shoegaze, trap, and witch house. Tomorrow in Mexico City! 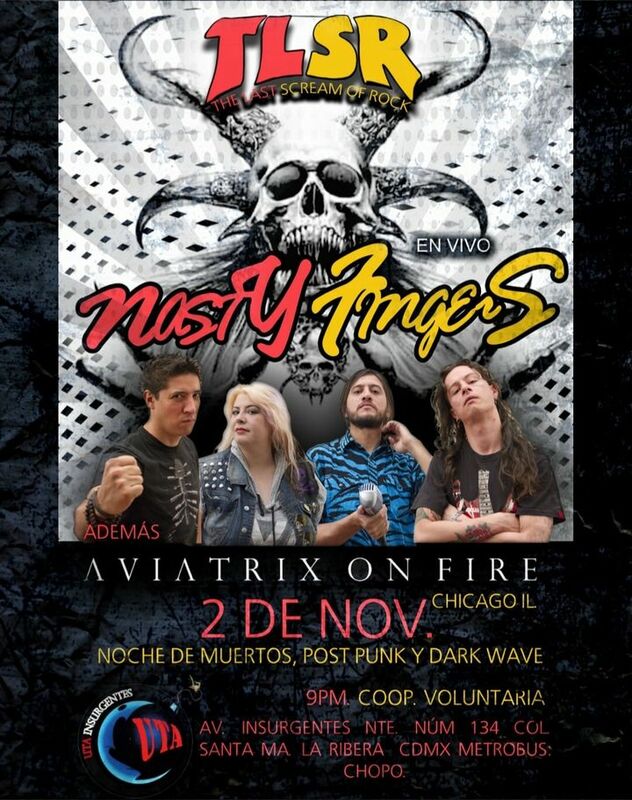 Nasty Fingers and Aviatrix on Fire at Uta Insurgentes - ave. Insurgentes #134. No cover!